Regretfully, I am still a Human 2.0 that has - as opposed to the current version Human 4.0 - only have internet access when I am at home or at work (but then, I am supposed to work). Therefore I was not online at 18gmt. Perhaps this late reminder will find you during the week end and sitting in front of an adequate device? A good shot, good sir. Does that mean I shouldn't lock the thread? I'm a few days late in doing so. And I think there's some other stuff I need to check up on in here too. REKT campaign current location is on the rightmost planet, the one with the tenuous atmosphere. 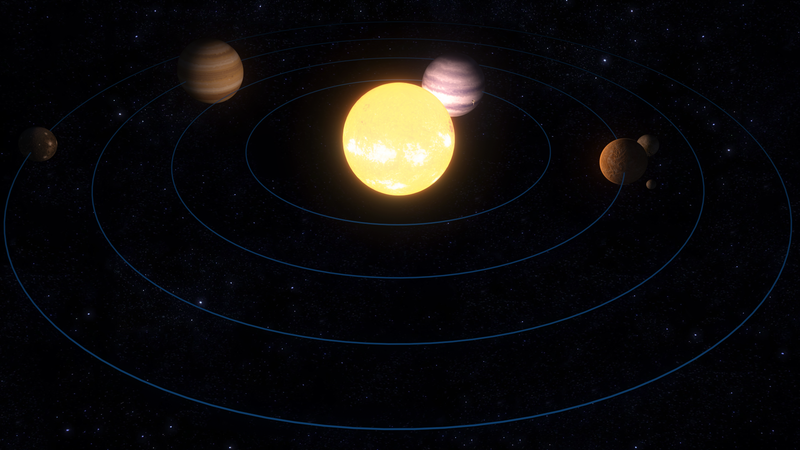 Nice solar system (‚not to scale‘-warning is missing, though ). How did you do it? The sun is cool... euh, wrong choice or word, perhaps. The sun looks good! Awesome! Really looking forward to seeing it! On a slightly different note: CSE won the prize for LTFC, so he gets a $30 voucher. I believe I'm a month late in announcing that. I honestly thought it was clear from how the votes tallied up, but there's been no mention of it here that I can see, so I figure I ought to say it aloud, just in case. Thanks! The scale is approximately log(real scale)2. Makes it easy to fit things on a screen and still be visible. The whole thing has heavy Photoshop bloom/editing with a massive custom macro (almost 100 different things it does, iirc) so that I can put out a lot of star systems in a short period of time, whenever I need it. 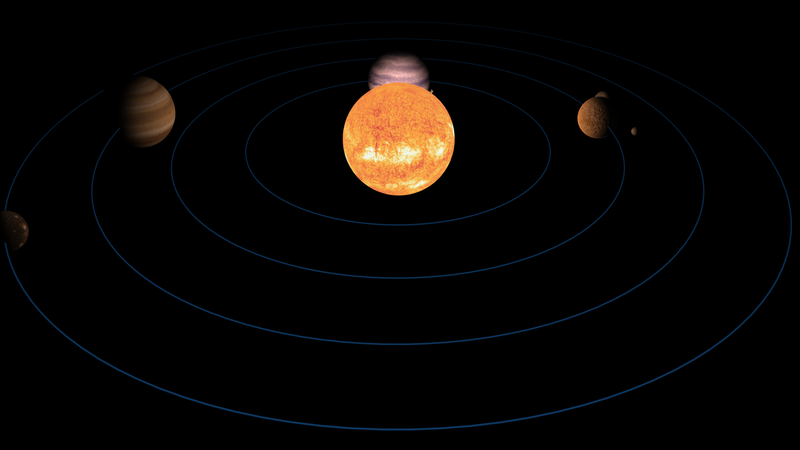 All I have to do is position planets, adjust star brightness, run it through the Photoshop macro to add stuff, and voila! 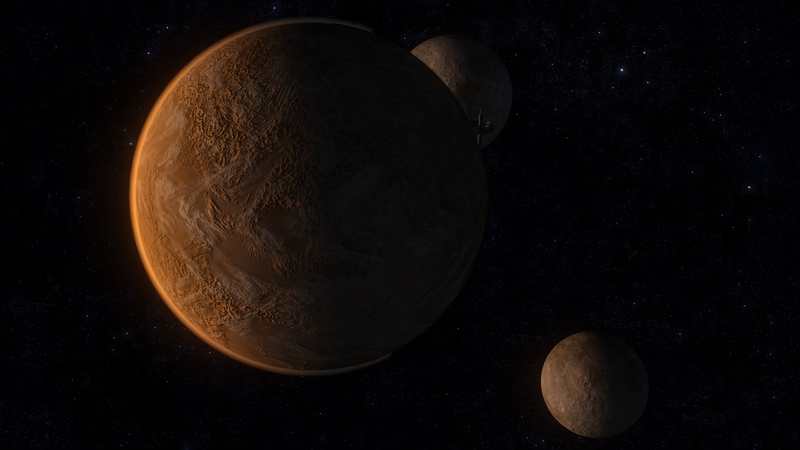 The planet surface itself is pulled from Space Engine - they have a great planet builder/export feature. I still have to do some photoshop editing afterwards though. Last edited by Talvieno on Fri Jul 06, 2018 2:05 am, edited 1 time in total. Thanks. I won by a huge relative margin - my closest competitor have only 50% of the votes that I got. Alternative boasting line: woawww, that was so close. The competition was so fierce, I barely got one single vote more than my colleagues. Seriously: i guess the one vote is in the margin of error. Nice entries, guys! Anyway, thanks to Talv, the voters, and the provider of the prize! On another topic: you mean space engineers, the game? Yes, I meant Space Engine. That's an interesting way to generate planets, I didn't realise Photoshop could do macros... Maybe it's because my copy is sooooooooo oooooooooooooold.